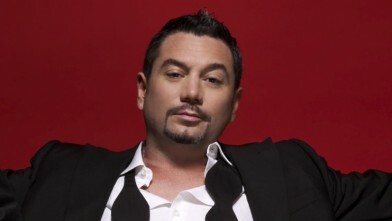 Ahead of the Fun Lovin’ Criminals’ 20th anniversary tour next year, lead singer and guitarist of the legendary band, Huey Morgan hosts an exclusive one-off concert with very special guests at East Wintergarden, Canary Wharf. Huey will be performing music from his career, including Fun Lovin’ Criminals tracks, as well as telling stories from his life.Pete Levin, accomplished jazz pianist and composer, best known for his work in The Gregg Allman Band, will be flying in from New York to man the keys, while Frank TRM from FLC will be behind the kit, with King laying down the bass. FLC’sFASt will be the evening’s DJ. Join Huey, the BBC 6Music show presenter and conversational powerhouse with a wry quip, and his special guests at this exclusive concert. East Wintergarden, Canary Wharf is fast becoming a must-visit venue, with its unique marble floor and glass structure having been host to artists such as Jose Gonzalez, British Sea Power, ESKA and Athlete.